Few things can ruin a home quick than unwanted water. It is important to build a strong defense against water seeping into your house when you lay the initial foundation of your home. There are a few fundamental things that are done while a home is being built to prevent water damage from causing harming your home in the coming years. 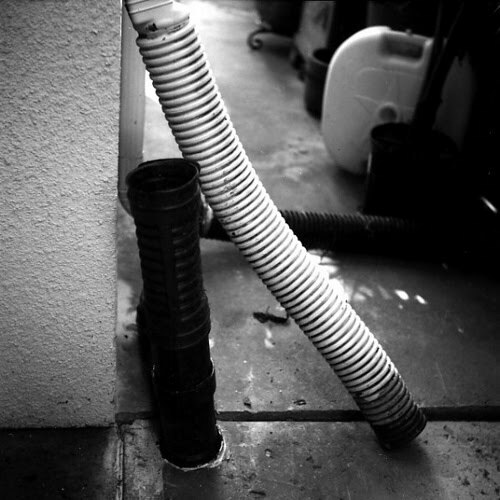 There are two ways water can get into your home: water coming from the outside (for example, through a rain storm or a water hose) or from the ground up. When water comes in through the ground up, it comes up through the floor. This is commonly seen in a basement. The best way to control and prevent water from coming up into your home is to put in a drain tile system while building the house to prevent water from coming from the ground up. The drain tile system dumps into a pit area that was dug before pouring the foundation. Large four inch plastic drain pipes direct the water in the ground to the pit. Once in the pit, the water gets pumped back outside through the sump pump. When waterproofing a home, the brick foundation is tarred to prevent any water from coming back into the home. The tar is actually sprayed onto the brick to waterproof it. Any place that will come into contact with dirt (and consequently water) should be tarred to prevent water from getting into the home. When you have a basement dug out for your new home, the dirt should be redistributed as a backfill around the house. It is vital to make sure that the dirt slopes away from the home to prevent water from coming back into the home and pooling. It needs to drain off to the side and then off to the front or the back of the lot. If sloped incorrectly, your home will be a catch all for rainfall and it will create a tremendous problem for years to come. There are a number of factors to take into consideration when it comes to preventing moisture and water problems when building a new home. What happens to the water in the ground, how well the water is kept out by the house’s walls, and ultimately controlling the water flow are all factors that should be considered when building a home. Keeping your home dry will preserve your home for years to come.